BUCS finals day took place down at Twickenham earlier in the week and now a number of student teams are getting ready to show what they can do at the famous Melrose Sevens in the Scottish Borders on Saturday. There are four university teams in the 24-team men’s draw - the University of Edinburgh, the University of St Andrews, Durham University and Stellenbosch University from South Africa. And, before the men’s final at The Greenyards which is likely to be played in front of a crowd of over 10,000, the University of Edinburgh’s women’s team will take on their counterparts from Durham University to showcase female sevens. In the men’s competition, Edinburgh were involved last year and are looking forward to meeting Stirling County in the first round. “We had a great time last year at Melrose and it is always good to test yourself against club players,” Harry Ryan from the Edinburgh team told TRU. “The match against Stirling County will be tough, but we know that if we progress then we will play Melrose on their own turf in round two and that would be something special for all of us. 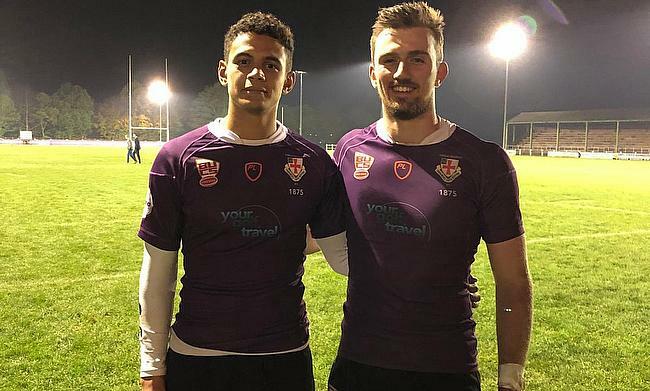 “It is great to see university rugby getting more exposure, university rugby is on the up all the time - and now we have a chance to show a wider audience what we are all about. Ryan, 22, will play in the forwards at Melrose and then is set to turn out for the select Rex Club Red Kites in some events over the summer. Edinburgh played rivals St Andrews at the start of this current season at BT Murrayfield in front of over 10,000 supporters in the Varsity match. And for the latter’s Rob Lind it has been quite a few weeks. Last Sunday, he returned from Hong Kong where he played for Scottish select side PROJECX Waterboys as they made it to the semi-finals of the Hong Kong 10s. Now, just a few days later and with university commitments having been fulfilled in between, he is preparing to take on Gala in the first round at Melrose with the victors to go on and play the British Army. “The Hong Kong 10s was an amazing experience, the games were very physical and fast, but as a team I think we learnt quickly and we got some good results against some sides with some big names in them,” Lind, who captained the Scottish Students this term, stated. “As soon as I got back, it was all hands on deck in terms of studying and also getting back with the uni guys to train hard ahead of the Melrose Sevens. Durham make the short trip north with Tom Lewis set to be in charge on the pitch. They have a bye to round two where they will await Ayr or Edinburgh Accies and Lewis said: “It will be good to get up to Melrose and give it a crack to be honest. “To be invited is really great for us and we want to go out there and put on a good show. In the Durham ranks are set to be Scots Saul Melvin-Farr and Fergus Haig. Stellenbosch have done well in the Melrose event before and they await GHA or Selkirk in round two. Meanwhile, Edinburgh’s Nicola Howat believes having the game against Durham game on the day showcasing women’s rugby is a great thing. The 22-year-old earned caps for Scotland during the recent Six Nations and watched from afar as the national sevens team just missed out on a place on the World Series circuit for next term in Hong Kong last week. “I think the way the girls played over in Hong Kong shows that women’s sevens is really coming on in Scotland,” she said. “To be part of the Melrose Sevens is brilliant and the more young girls we can get involved in rugby the better because of the exposure from this game. Durham will arrive for having been runners-up in the BUCS final at Twickenham as they lost out to Exeter in midweek.